#TChat once again had a great topic that is hot in business. Tons of people are speculating over what constitutes as good leadership. As we investigated and broke down this topic, we have come to realize that it deals with more than just leadership. In fact, it deals with the leader themselves. In order to live up to the expectations of good leadership, we must dive deeper and understand what characteristics and qualities make an exceptional leader. The co-author of “The Character-Based Leader- Instigating a Leadership Revolution, One Person at a Time,” Meghan M. Biro, had suggested that great leaders have five core attributes. 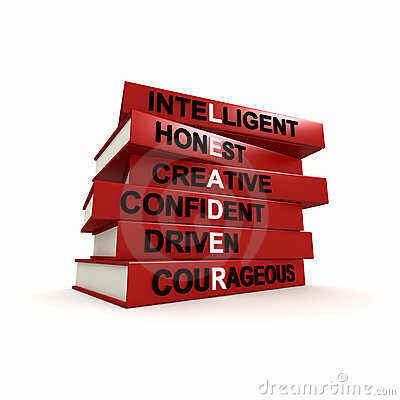 A leader must display integrity, trustworthiness, emotional intelligence, openness, and motivation. These attributes can play in to the followers’ (or employees’) need to not only have a leader that is transparent, but also one that offers a sense of stability or consistency to their leadership efforts. The workplace ecosystem is delicate and good or poor leadership can really make an impact on it. In order to maintain a good workplace and ultimately positive work performance, leaders must make the effort to genuinely possess and display the attributes listed above. Employees want to follow a leader that seems to be making strides towards the greater good rather than for their own selfish desires. They want a leader that keeps them in-the-know about things. And most importantly, they want to know that their leaders are human (because let’s face it, we all make mistakes). And if the leader does make a mistake, forecasts incorrectly, or made a misinformed decision- it would be in the leader’s best interest to handle these situations gracefully, professionally, and honestly. Followers don’t only care about what a leader does, but who the leader is. Considering a leader’s character is highly regarded and leaders should ensure that having these attributes should be high on their priority list. Good leadership can increase employee engagement, morale, and company/employer branding. Essentially, being a leader with good character can majorly benefit a business. If you liked topics like this, be sure to join #TChat on Twitter on Wednesdays at 7pm EST. I love this topic and I is very important to me. As a retired US Army veteran I am bias on the Army’s definition of leadership. We define it as the ability of influencing others by providing purpose, direction and motivation. Of course we cannot omit our Army values which we us the acronym of LDRSHIP. Loyalty, Duty, Respect, Selfless Service, Honor, Integrity and Personal Courage. I just wanted to share what my thoughts in the topic. Thank you for sharing, Orlando! These are some great values that you’ve learned and have allowed to become apart of your character.